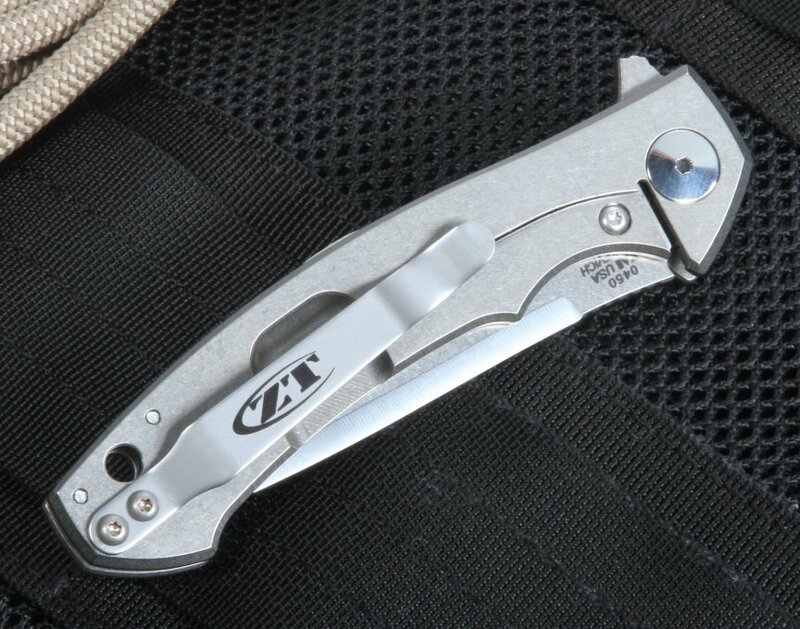 The ZT 0450 is a compact folder that will make a solid everyday carry flipper. 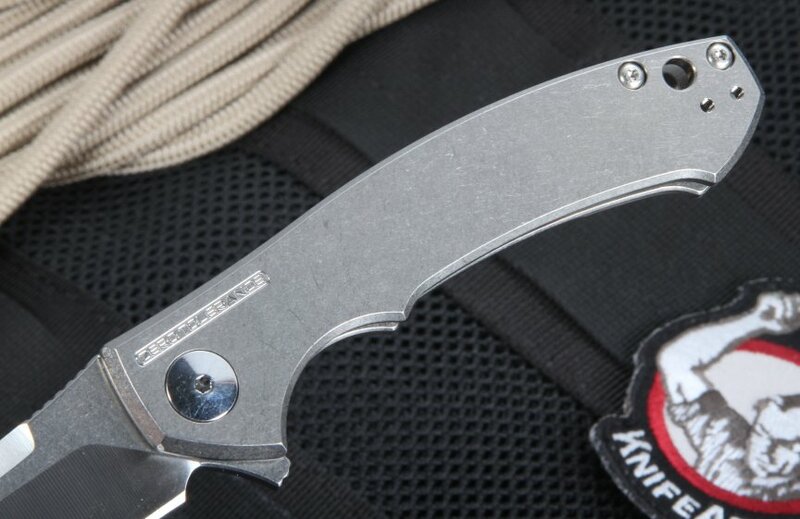 Zero Tolerance is putting out a knife that is light, strong and made out of top shelf materials. Put this little gem in your pocket, you will NOT regret it. 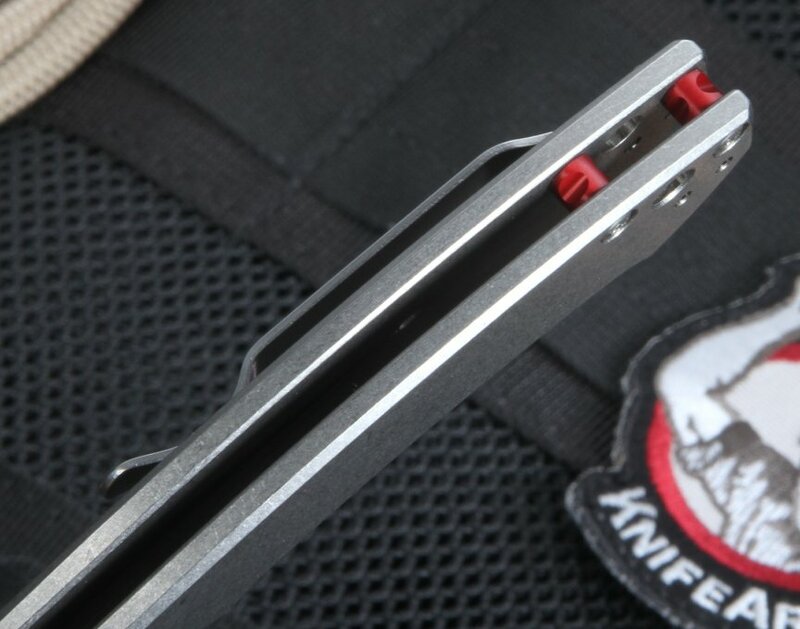 The Zero Tolerance 0450 is based on the original Zero Tolerance 0454 knife model envisioned during a Dmitry Sinkevich and Zero Tolerance collaboration, the new 0450 updates all the favorite features of the old limited edition tactical knife, while maintaining its sleek look, design, and strength. With the overall length of 7.4 inches and a weight just under 3 ounces, the lightweight knife makes a great knife that can withstand various types of work. In all, the ZT 0450 is a great everyday carry, American-made knife for its value. The knife's blade, measuring 3.25 inches, is made from strong S35VN stainless steel with a stonewashed or satin finish to easily hide scratches and minimize the blade's glare. Crucible's CPM S35VN is a top-line steel that is resistant to edge chipping and wear resistance, allowing it to stand up to various environments and stresses on the field. Rockwell hardness of the blade is 60-62. The handle is made out of stonewashed aerospace-grade titanium alloy, which is resistant to corrosion and makes the knife very light to carry, without reducing its durability. The stonewash will hide most of the daily wear and keep this little flipper looking like new. 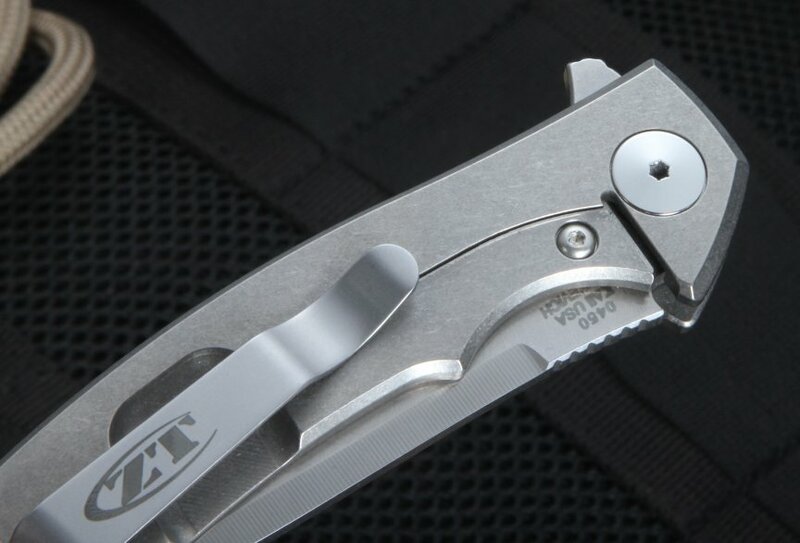 The KVT ball bearing manual open system allows for quick and easy deployment of the blade with one hand, allowing for fast use just when you need it. 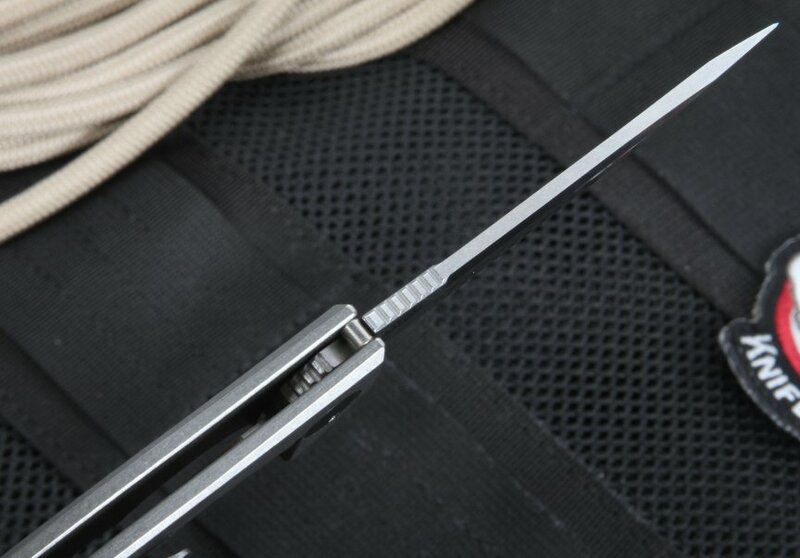 In addition, the frame lock is extremely sturdy and durable, keeping the blade deployed or locked up without worry. The integral frame lock is built for a lifetime of use with the lock bar interface and lock bar over-travel prevention. The handle also features a reversible pocket clip for deep carry, making it easy to hold and conceal. At 4.1 inches, the handle allows for a comfortable grip for most people. Overall, the knife's minimalist design allows for its strong abilities to shine through. As always when you purchase from Knife Art you will receive fast shipping and a satisfaction guarantee. Very nicely machined knife. Fit and finish! Form meets function.Excellent EDC. This knife has one of the best flipping actions for a small knife I have ever used. It is extremely smooth. Great EDC or Gentlemen's knife! Excellent design, solid lock-up on opening, secure closure, state-of-the-art materials, light, thin, low profile, sharp as a razor................What else could a knife enthusiast want? I just received the ZT 0450 knife and I could not be happier. This knife is a perfect small edc blade that like all other ZT knives is put together perfectly. Blade came centered with absolutely no blade play in any direction. The grind and swedge are symmetrical on both sides. The red standoffs offer a touch of color that is nice on a otherwise simple design. Knife Art shipped me this knife extremely quickly as usual, Highly recommend them for your knife purchases. 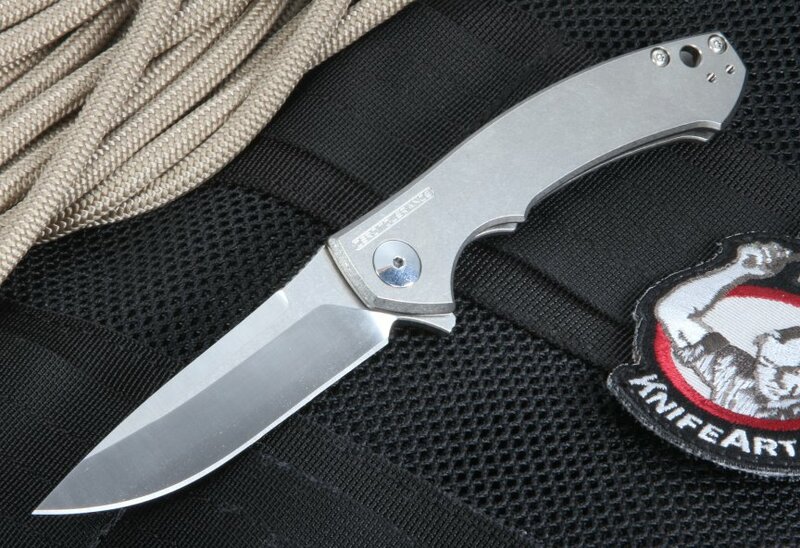 If a $500 midtech or an $800 custom flipper is a 10, this knife would be a 9+. At only $160 I go for the ZT now as I don't have to worry about beating up on it or losing it nearly as much. I love the heft of this thing, it is so slim and so solid feeling in the hand, a ton of quality condensed into a smaller package, that's what I tell the ladies... The blade is spot on dead centered, lock up is rock solid with no play whatsoever in any direction. The steel lock bar insert engages the blade at about 40% and there's Zer0 stick. The KVT bearings work as advertised, very smooth and lightning fast deployment every time. The edge on mine (serial #1307 ordered April 10th 2015) came out of the box razor-hair-shaving & paper-slicing-sharp with a DEADLY sharp needle point tip. This will be a great piercing blade if I'm ever ran up on by a couple of methed out goons in dark alley some night. Great knife, awesome value I highly recommend this to anyone that has been in the market for a good, small Ti flipper on bearings (there are not many out there). Made in Oregon.